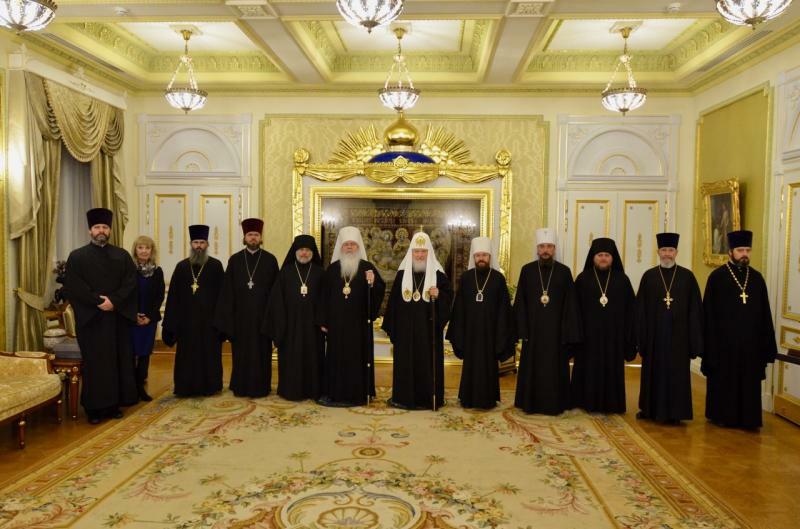 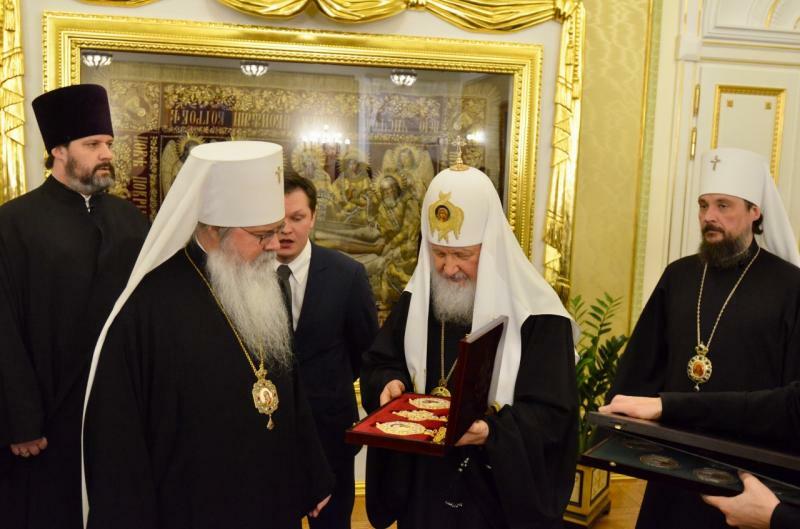 Shortly after their arrival in Moscow on Wednesday, January 30, 2019, His Beatitude, Metropolitan Tikhon, and the members of the delegation of the Orthodox Church in America participating in services and festivities marking the tenth anniversary of the election and enthronement of His Holiness, Patriarch Kirill of Moscow were received by His Holiness as the Patriarchal Residence. 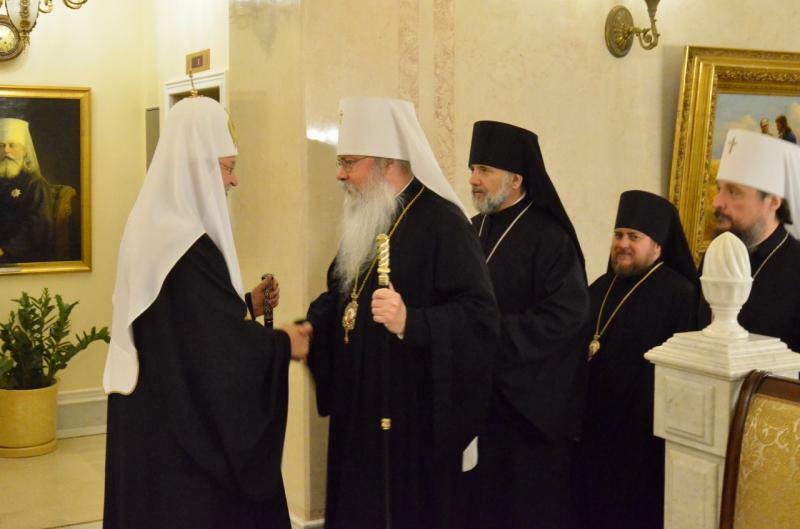 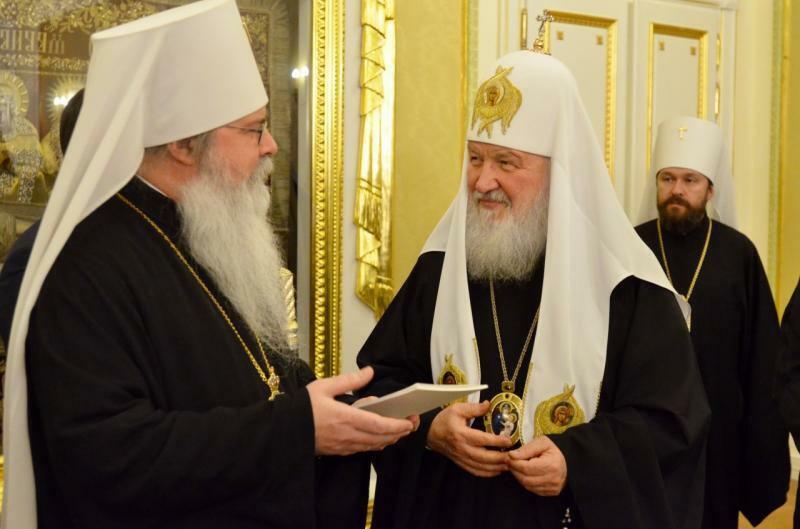 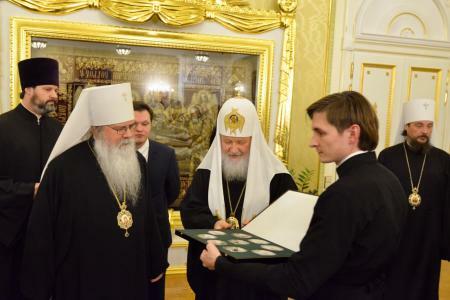 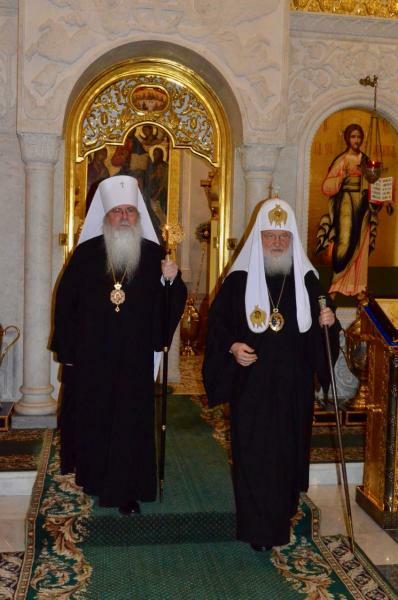 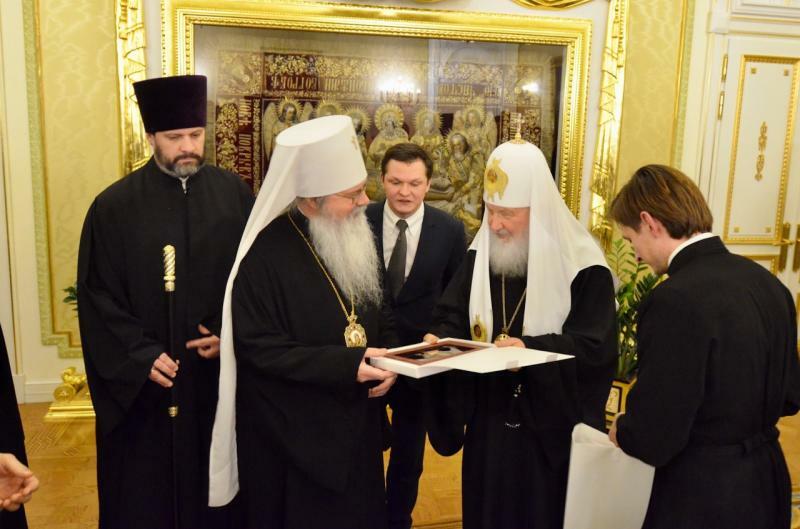 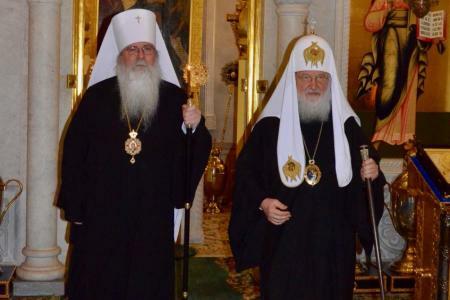 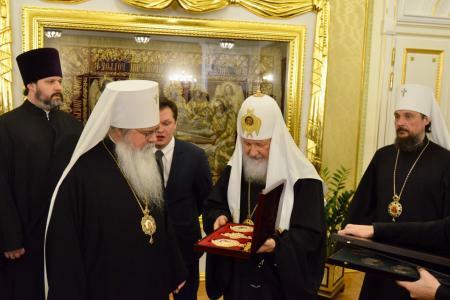 During their meeting, Patriarch Kirill and Metropolitan Tikhon discussed a number of matters of mutual interest and exchanged gifts and mementos. Metropolitan Tikhon presented to His Holiness a copy of his work, Of What Life Do We Speak? Four Pillars for the Fulfillment of the Apostolic Work of the Church, which was released in conjunction with the opening of the 19th All-American Council in July 2018. 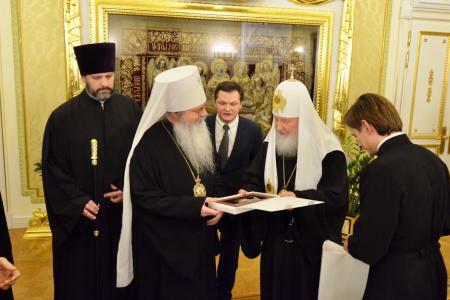 The highlight of the anniversary celebration—the Patriarchal Divine Liturgy at which representatives of the Local Orthodox Churches will concelebrate—will take place on Friday, February 1, at Moscow’s Christ the Savior Cathedral. 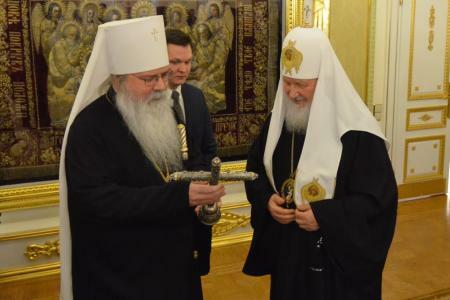 While in Moscow, Metropolitan Tikhon and the OCA delegation also will visit the Donskoy and Sretensky Monasteries and the Embassy of the United States. 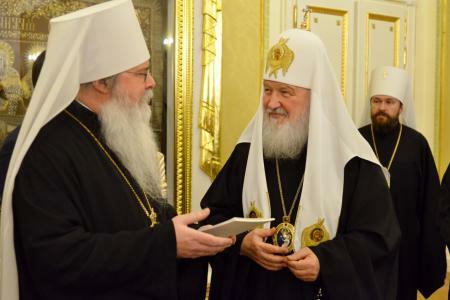 On Sunday, February 3, Metropolitan Tikhon will preside at the Hierarchal Divine Liturgy at the OCA’s Representation Church of the Great Martyr Catherine in central Moscow.